Despite having one of the most talented offensive defensemen in the league in his repertoire, Vigneault instead decides to constantly place his trust in the veterans on the team, sending them out there shift after shift even if they’re struggling. Keith Yandle is the sixth defenseman on this team, way below his capabilities and skill level. In Arizona, Yandle was one of the top pairing defensemen, logging way over 20 minutes a night and playing a ton of minutes on the power play. Vigneault has relegated him to the third pairing and playing sheltered minutes. Yandle is capable of much more than that, and he needs to start getting used as a top-four defenseman in more roles and opportunities. Yandle is not a shutdown defender, nobody is trying to claim that. But he has been better in his own end this season. Maybe it’s the sheltered minutes, or maybe he’s improved defensively. But there haven’t been any big, noticeable mistakes. Dan Girardi and Marc Staal have made more mistakes that have led to goals this year. Both players have a long-standing reputation of being shutdown defenders, but age quickly catches up to shot blocking, physical defensemen. With Yandle, he’s still very mobile, and his passing ability allows him to get out of sticky situations and outlet a forward for a counterattack. I do think that Yandle should be trusted in a top four role, and given closer to 20 minutes a night on a consistent basis. But my bigger concern is his usage on the power play. Let’s be clear. When it comes to quarterbacking the power play, Yandle is in the top five in the NHL for that category. He can be discussed with the likes of Erik Karlsson and PK Subban on the man advantage. Last season with the Coyotes, Yandle averaged over four minutes of ice time on the man advantage. In 63 games, he amassed a total of 26 power play points (2-24-26), among the league leaders in power play points. 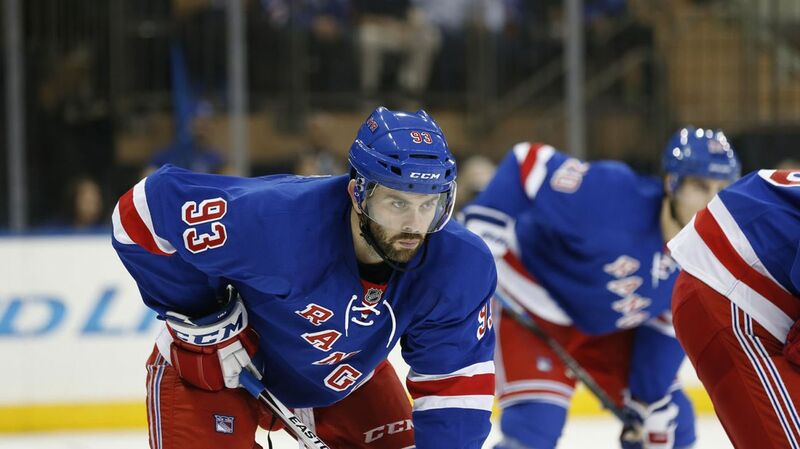 In 21 regular season games in New York that season, Yandle had just three points (0-3-3) on the power play. Why is that? Because Vigneault wasn’t using him enough. It’s happening again this season, with Yandle averaging just 2.5 minutes on the power play each game, and he has three points (1-2-3) through the first 15 games. It truly confuses me when Vigneault sends out the first power play unit, and Yandle isn’t on it. Ryan McDonagh has struggled to contribute offensively this season, yet he’s still on the first unit. It doesn’t make sense. In Montreal, PK Subban will play almost the entire two minutes of the team’s power play. And as a result, he tallies a lot of goals and records a lot of points on the man advantage (8-13-21 in 2014-15). Yandle should be used in the exact same way. If you’re not going to play Yandle in big time situations at even strength, then let him play to his strengths when the team is on the PP. That’s what he does best, better than almost everyone in the entire league. Yandle will be so much more productive if he’s on the first power play unit, playing with guys like Derick Brassard and Rick Nash, and staying out on the ice for a minute and a half. He’d also be more productive if he gets to play with the top two lines at even strength too. Dan Girard and Marc Staal are not the same players from three years ago. Ryan McDonagh is struggling to produce offensively. Keith Yandle is not struggling, and he’s just as good and talented as he was a few years ago. So AV, just play Yandle. Let him log top minutes, jump-start the offense, ignite the power play and reach the 50 point plateau again. Thoughts? Questions? Make sure to have a discussion in the comments and vote on the poll. Posted on November 9, 2015, in In the Crease and tagged Alain Vigneault, Arizona Coyotes, AV, Dan Girardi, Duclair, Keith Yandle, Marc Staal, New York Rangers, New York Rangers blog, NHL, NYR, power play rankings, Rangers, Rangers blog, Rangers Power Play, Ryan McDonagh, Vigneault, Yandle trade. Bookmark the permalink. 25 Comments. How about a conspiracy theory? They aren’t using him to his full potential so they can re-sign him cheaper than if he had a monster season. Etem, and Miller as well. i do agree that he needs to be out there alot more on the power play but i do think the sheltered minutes are helping him defensively! you are being kind to mcdonagh because he has had practically no offensive game since the day he was named captain! we are 10-2-2 and the #1 defensively in the league so i dont think that staal and girardi have been bad at all! i watched alot of yandle with the coyottes and to say he’s not a great defensive defenseman is being kind! I’m going to number my points to make it clearer and easier to read. 1) sheltered minutes are helping him defensively. I acknowledged that too. But I don’t think he’s nearly as bad as people make him out to be. 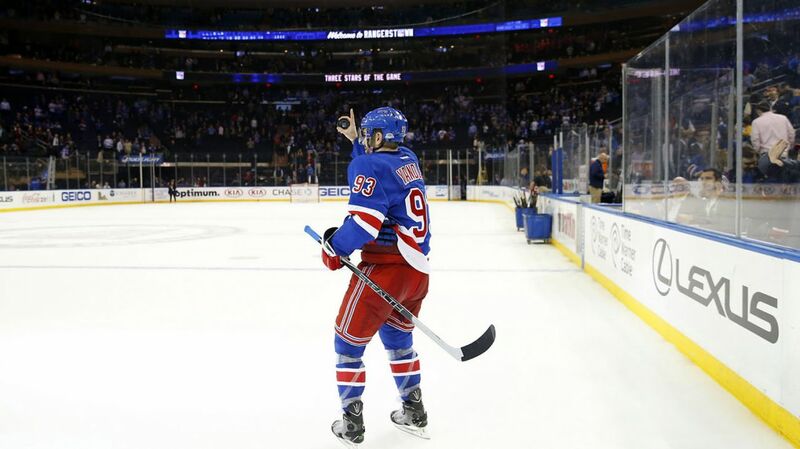 2) McDonagh had like 33 points last year, and that’s dealing with a shoulder injury and missing games. Not as good as the 13-14 season, but not bad. He’s off to a rough start this year though, which I also said. 3) we’re good defensively, but I wouldn’t say the best. That’s Montreal. A big reason for out low goals against is Henrik, who covers a lot of defensive miscues because he’s amazing. That’s fine, it’s his job and he does it well. Staal and Girardi’s stats haven’t been great when it comes to possession and shots against, which is very important. 4) Yandle looked bad in Arizona because their team was horrendous. No great two way or defensive d men on that team at all. When you’re on a team that doesn’t score a lot and gives up a lot of goals, the d men are made out to be bad defensively which may not be the case. You can put Yandle out there for 900 minutes of PP time, if the NYR top 6 PP cant score then KY isnt going to be getting points..
Dont concentrate on the NYR PP till the NYR get or develop 2 snipers. Till then the 5v5 scoring is whats going to put us where we are. NYR havent had a good PP since Jagr days ( sniper ). We have a good 5v5 team right now but we have no snipers to make a PP deadly. Yandle will help the PP get better. The fact that he can easily hit the open player, and he’s not afraid to fire a shot when he has an open lane. Arizona didn’t have a sniper yet he was great on the man advantage there. Who is scoring on the PP for the NYR? They dont have that type of scorer. When the NYR PP you can see the players gripping the sticks tighter and the play becomes less crisp. We have no true finisher. The NYR have a great 5v5 team and they have Hank and a great defense. That should get us at or near 1st place again this season. Its when the playoffs start and the bottom of the league doesnt qualify that all the games get tougher….As each round progresses that PP scoring becomes more important if you dont have big game scorers. Thats where this team needed to improve in the offseason IMO…They NEEDED to go out and find that playoff scorer to put them over the top. A trade was needed but didnt happen. Nash will be gone by the deadline or some other big contract and hopefully we get that guy in that can light it up in the big games…The economics of the cap and next years signings say that has to happen…. NYR have 11 guys signed so far for next year. Boyle will leave and free up his space. We have no idea how much, if any the cap will go up. How do we sign all the guys that need to be signed and keep all these huge contracts? Hanks window is closing because he is 33 and will be 34 in March..That is a window that is slowly closing, no? And yes, you are correct..Hank is playing well right now in the first 11 games. He is on fire. But they need to bring in a guy that can help wit the playoff scoring..Presidents trophy means zero if you get shut out in games 5 and 7 of the ECF at home. But just out of curiosity..How doesnt it make sense to move him? He has had 3 less than stellar playoff runs and he makes 7.8mm of the cap. His Full NTC has now become a limited NTC and he, IMO makes the most sense as to the one that gets moved at the deadline. Because its overreacting to a slow start. The guy had 42 goals last year. 14 points in 19 games also isn’t sub par. Sure, it clears a lot of money. But then you lose your most talented forward and your best scorer. Nash wouldn’t be easy to replace. Its not the caliber..its the contract..That the only issue. The team is 10.2.2 and he hasnt put one puck in the net this season. They just won 2 B2B games without him in the lineup. That’s a small sample size to go and say that we don’t need him. 2 games without him in the lineup against sub par teams. And 14 total games. Because we’re 10-2-2 it doesn’t mean we don’t need him in the lineup. It means we’re much better off with the depth we have. 14 points in 19 games but can we think of 1 game changing goal that he has scored in the playoffs? He also only scored 5 goals in the last 21 games played last year and scored 5 in 19 playoff games..Then he scored 0 in 12 games this season. thats 10 goals in his last 52 games played. You hurt the team now then. It’s not worth it because we don’t know what other money may wind up freeing up. If Kreider has another season where he doesn’t take that next step, he probably won’t get the big, Stepan type contract. Hayes is coming off an ELC. He won’t jump up to $5 million. You’re overthinking things. Bottom line is if we trade Nash, we lose a fantastic forward, our best goal scorer and biggest threat, and we hurt ourselves now hoping that it pays off next season. They need to try and win now with this roster. We’re not the oilers, we’re not planning 5 years ahead. The Rangers are thinking of building the best team for now, and taking that same approach every year. Plus..the 2016 FA pool is looking really good right now. Sure would be nice to have cash available to make a run at someone. A lot that are on the list right now will prob get signed at some point but some will test the waters. You still think Nash is our biggest threat and our best goal scorer? 10 goals in his last 52 GP? Okay so the last 52 games, 19 being playoffs, means we discount everything else he’s done and the rest of last regular season? I respectfully disagree. We’re not landing a Stamkos or someone like that. You’d need a lot more off the books for resigning people and getting someone of that caliber. Good talk BTW..Glad we can discuss without things getting out of hand.